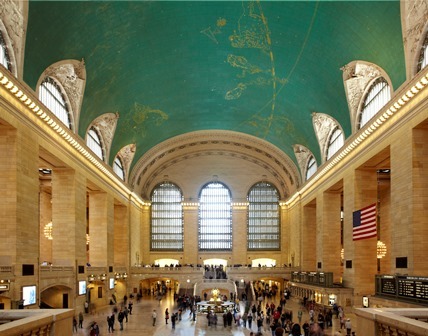 If you want to see some of the greatest art in New York City, steer clear of the museums and the art galleries. Head instead to the bars, restaurants, skyscraper lobbies, airports and public buildings where the walls are adorned with murals by the likes of Marc Chagall, Roy Lichtenstein, Maxfield Parrish, Keith Haring and other celebrated artists. “It’s like a museum, except the art collection is scattered around town and not just under one roof,” said Glenn Palmer-Smith, author of “Murals of New City: The Best of New York’s Public Paintings from Bemelmans to Parrish,” a new book with lush photographs from Joshua McHugh and detailed essays documenting the stories behind more than 30 of the city’s important murals. Some of Palmer-Smith’s favorites may take a little work to find, but many are clustered in midtown, just steps from the shops, restaurants, museums, theaters and attractions likely to be visited by many of 5 million visitors city tourism officials are expecting in town this holiday season. In Radio City Music Hall, where tourists flock to see the “Radio City Christmas Spectacular,” there are three notable murals. 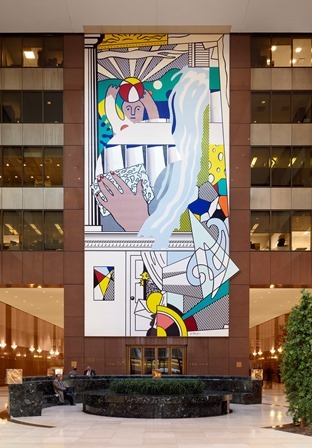 Ezra Winter’s 40-by-60 foot “Quest for the Fountain of Eternal Youth” – a painting Palmer-Smith said was originally “reviled and ridiculed” by critics – is above the main lobby’s grand staircase. “Men without Women,” by Stuart Davis, is in the men’s lounge and, in the women’s lounge, there’s a mural by Japanese painter Yasuo Kuniyoshi that’s based on the flower theme that Georgia O’Keefe had originally created and been commissioned to paint. The city’s largest mural is Paul César Helleu’s 80,000-square-foot depiction of the constellations in the night sky. It stretches across the ceiling of the main room at Grand Central Terminal and, as it took an amateur astronomer to point out about a month after the terminal opened in 1913, the mural displays the signs of the zodiac in reverse. The mural was restored in 1945 and, after becoming blackened by smoke and city soot, refreshed again in the late 1990s. Keep looking around the city and you’ll find two murals by Marc Chagall at the Metropolitan Opera, a mural 62-feet tall and more than 35-feet wide by Roy Lichtenstein in the atrium of the Axa Equitable Center (787 Seventh Ave.), Maxfield Parrish’s 30-foot-long mural in the King Cole Bar in the St. Regis Hotel (2 East 55th St.) and work by Keith Haring in several spots around the city. And then there are the two murals created by Edward Sorel, whose illustrations and caricatures are familiar to readers of The New Yorker and many other magazines. Sorel’s mural in the main dining room of the Monkey Bar in the Hotel Elysée (60 East 54th St.) is populated by a caricatured crowd of celebrities from the 1920s and 1930s, everyone from Isadora Duncan, Joe Lewis and Fats Waller to Frank Sinatra, Ella Fitzgerald, Babe Ruth, Cary Grant and Mae West. Forty-three people are portrayed in the mural Sorel created for The Waverly’s dining room, including Allen Ginsberg, Fran Lebowitz, Edgar Allan Poe, Bob Dylan, Norman Mailer and Jack Kerouac. Of course, New York isn’t the only city with an impressive collection of publicly accessible murals. Artists hired by the Works Progress Administration during the Great Depression painted murals that remain in post offices, libraries, courthouses and other civic buildings around the country. And in tiny Toppenish, Washington 75 historically accurate outdoor murals dot a city less than two miles square. Each year, on the first Saturday in June, the Toppenish Mural Society sets up bleachers so onlookers can watch artists complete another mural in just one day. If you’ve spent some time at Amsterdam’s Schiphol Airport, or at Heathrow or Gatwick Airport in London then perhaps you’ve already seen or spent some time at a Yotel. These are affordable, short-stay hotels (minimum booking is four hours) located inside the airport terminals with small cabin-like rooms that are perfect for napping, working, showering and just resting between flights. While short on space, the rooms have the essentials: a comfortable bed, free Wi-Fi, a good shower, a small desk, complimentary hot drinks and a flat-screen TV. I stayed for a few hours at the Heathrow Yotel a few years back after an overnight flight from Seattle that arrived in London at 6 a.m. and then headed into town for a full day of business meetings and touring feeling very civilized and unrumpled. Single cabin at the Heathrow Yotel. Spending a few hours in a tiny hotel room at an airport is one thing, but I wondered if staying in a room at the off-airport Yotel in New York City would feel claustrophobic. 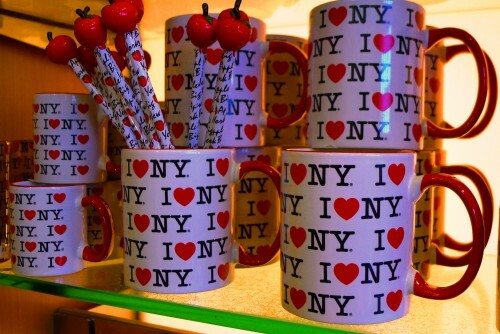 The Yotel in New York City is not far from Times Square, Madison Square Garden and the Port Authority bus terminal. After checking in at the ground level “Mission Control,” where a “Yobot” stays busy storing luggage in cubicles, guests go to the fourth floor, where there are bars, a restaurant (where the complimentary morning muffins are served), a large outdoor terrace and some public seating areas. The rooms are on the floors above. The “cabins” at the New York City Yotel are 30% larger than those at the airport properties – but at 170 square feet a basic “premium” cabin was still quite small. Still, it has all the essentials: a bed that folds up into a futon-like couch during the day and – at the press of a button – extends flat for sleeping, a tiny desk with a chair, a large flat screen TV, a shelf and a bar to hang clothing from, free Wi-Fi and a floor-to-ceiling window. The bathroom area of the room has a curtain, but no door, although there’s a partially opaque glass door you can pull closed if you’re sharing the room and want a bit of privacy in the toilet or the shower. (Rates usually start at $199; which seems reasonable compared with what you’ll pay for other hotel in New York City). There’s a hip vibe at the hotel, but not so hip that you’ll feel you’ll need to be all pretty and dressed up to go grab that complimentary morning muffin. Here’s another hip and fun new offering at the Yotel in New York City: this summer staff will be surprising some guests with complimentary “Only in New York” tours (value $65). Tours to where? That’s a surprise: up to two dozen people will be taken on a two hour adventure somewhere in the city. Find more details about the Only in NY tours here. Tomorrow morning (Tues, Dec 30th) MetLife has four-walled the rink so that 400 NYC school children can skate with the Peanuts gang, but Snoopy will be hanging around between 1:30 and 3:30 pm to take photos with anyone who shows up for public skating in the afternoon. Don’t know how to skate? Free lessons are offered Fridays, Saturdays and Sundays from 9am – 11am, courtesy of Citi. And – here’s the fly part – from now through January 25th, Delta Air Lines is giving away round-trip airline tickets to any destination their fleet flies. Ask about details when you show up and lace up.